i chose this cause because : i like caring about other people besides myself! I would like sponsors for Quit for a cause. I am going to stop jumping on the trampoline for one week. This is a big deal for me because I like doing front flips on it. 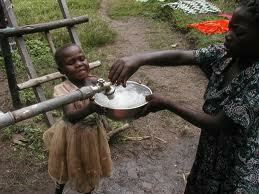 I think water wells are important because they help other people with health and a lot more people will survive. 07/21/11 MISTIE LOGULLO $20.00 You are an amazing girl Mallory!! 07/17/11 Dad & Christy $30.00 We are so proud of your hard work and so grateful to have such a kind and giving daughter. Great job Mal! We love you! 07/16/11 Kathy Switzer $30.00 Way to go Mallory!! 07/16/11 Joseph Bentley $35.00 you rock Mallory!! 07/15/11 Heather Orton $10.00 Mallory I am so proud of you! What a great way to help others in need, great job! 07/15/11 April Childs $30.00 I remember when you were a toddler and you told me that you wanted to help give water to the children and now look at you! You are doing it! Love you Honey B...Iam sooo proud of you.